Get brilliant, accurate colour prints with Dell's high-performance A3 (11”x17”) colour printer. Get stunningly accurate, professional-quality colour printouts every time with the Dell™ 7130cdn Colour Printer. Bring incredible contrast, detail and richness to your most demanding print jobs with the advanced features of ColourbyDell. The Dell 7130cdn Colour Printer delivers speed, responsiveness and professional print quality at a compelling price point, day after day or provide support for this kind of long-term print quality and price reliability. 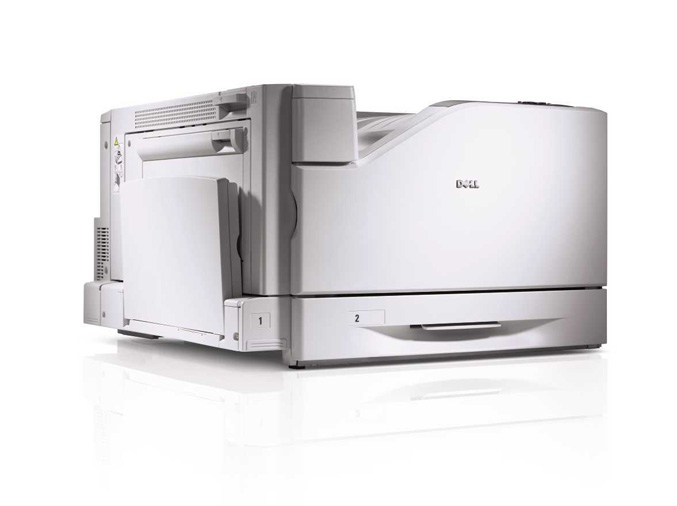 The Dell 7130cdn Colour Printer handles a wide range of print sizes, paper weights and professional printing needs. - The Dell 7130cdn Colour Printer designed to deliver outstanding reliability, along with the capability of handling up to 150,000 pages per month (max).